The SoftWash Systems Blend 100 Package has more bleach carrying capacity for your larger residential or commercial jobs. This unit is larger than the Blend 50, using a 42″ forklift compatible skid, and carrying a 100-gallon poly ethylene tank. The Blend control valve system works effortlessly, drawing from both tanks equally to prolong your cleaning time. Because of this increased capacity users will see solution volumes at 350 gallons for a 3% soft washing solution, and as much as 1000 gallons for a 1% soft washing solution. 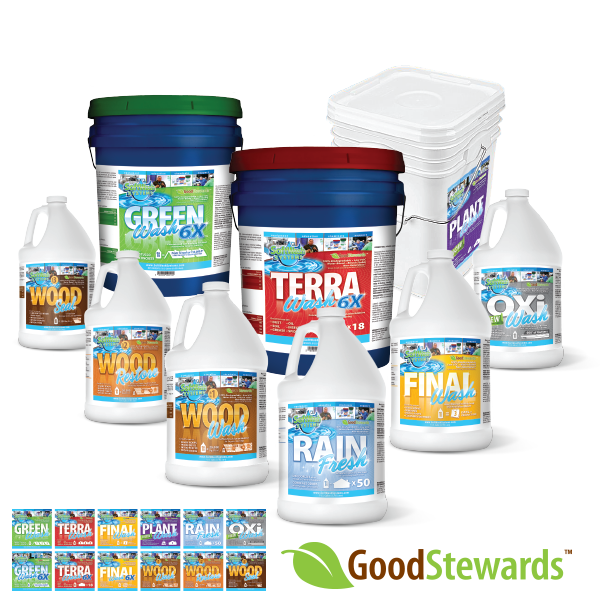 The Blend 100 package keeps you below the 119 gallons US DOT limit for carrying liquid bleach, keeping you legal and profitable at the same time. 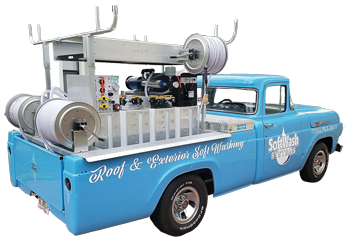 This system ships completely assembled and is ready to spray, just add bleach, SoftWash Systems Green Wash, and a 12-volt battery to start making soft washing profits today. 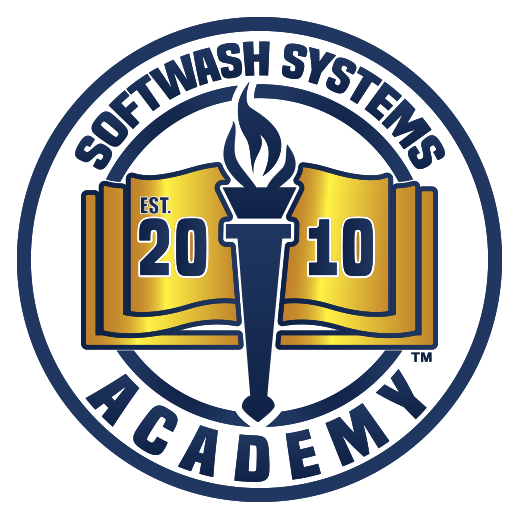 This system package qualifies for SoftWash Systems Authorized Program.